Remember the time your parents asked if you’d jump in a well if your friends did? Here’s how and why you could actually hop in..
One needs no reason or season to visit Goa. With the arrival of the monsoons, this place has a lot more to offer than the conventional beach parties. Rice paddy fields stretch before your eyes like a great quilt of verdant squares stitched together by hedgerows. Storks and cranes dot the landscape, playful streams make their way to overflowing rivers, trees dance in the wind and the state comes alive with a plethora of vibrant festivals that celebrate monsoon showers in all its glory. 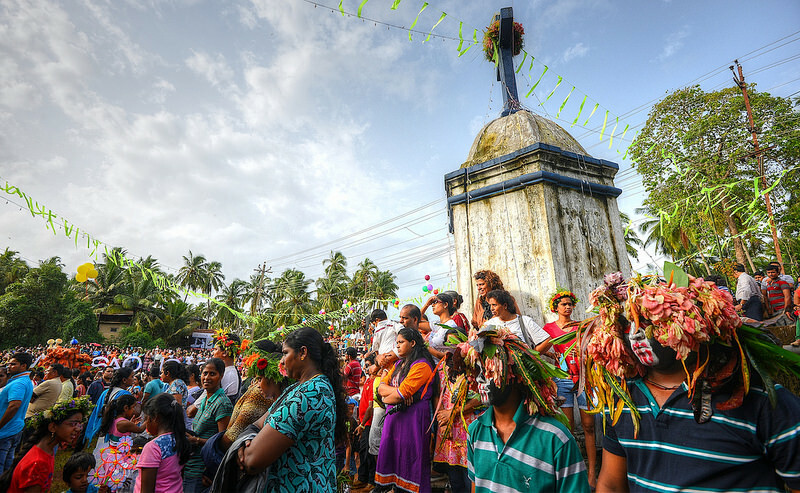 One such festival that is celebrated annually on 24th June with utmost pomp and fervor is Sao Joao. It is a cultural festival wrapped up in Christian beliefs. The biblical story goes that St. John the Baptist leaped in joy in his mother’s womb on hearing the news of Christ’s impending birth. In imitation of St. John’s reaction of ecstasy, tipsy, flower-bedecked revellers jump into the village wells, rivers and ponds. In times when wells were the only source of water, the tradition also served as a thanksgiving to the Gods. Before taking the plunge locals break coconuts and pray for a good monsoon. 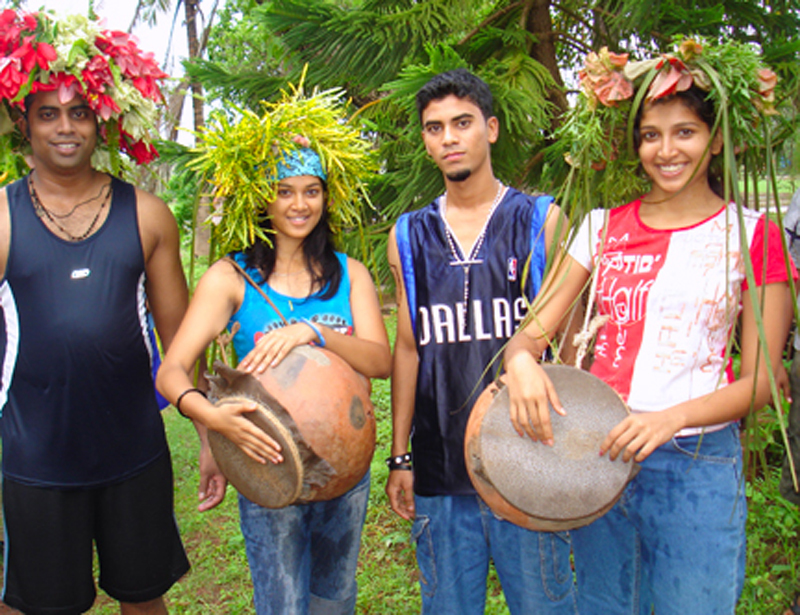 They sing mandos (Konkani folk songs), join in peppy dances and down feni in liberal quantities. Newly wed brides take back large baskets of fruits and goodies for their husbands as a gift from their mother-in-laws. 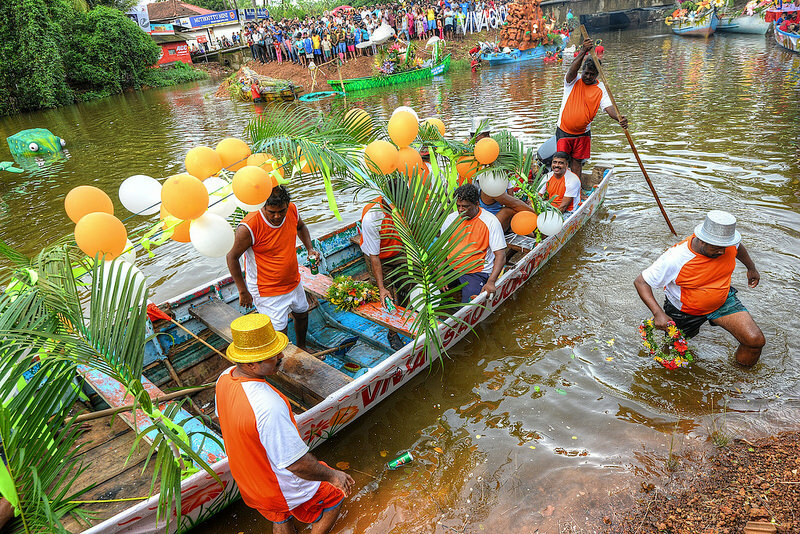 Sao Joao is also called the Festival of Fertility. Young to-be mothers make offerings to God for a child. The artistically inclined weave crowns of fresh and fragrant fruits, wild flowers and leaves. Brightly painted boats shaped as various mythical and sea creatures float down the Anjuna river where judges evaluate the entries on a grand stage set up along the river side. The after party of the Sao Joao celebrations go late into the night with groovy music, snack and beer counters. 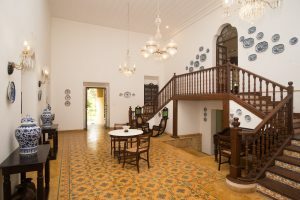 If this vivacious carnival-like atmosphere entices your spirits then head over to our magnificent 350 year old Portuguese-styled home to experience the exhilarating Sao Joao energy and discover an opulent vacation in South Goa. SaffronStays Nossa Bela Casa, Cuelim is a gorgeous space with a rich history and such character that you feel it immediately upon entering. The landmark property has been recently restored to its former glory by famed architect Dean D’Cruz. The minimalist modern design accentuates the elegance of the details and workmanship employed while drawing out the interiors. The entire property is fully furnished with richly decorated interiors and has tasteful accents lining the home. It houses 6 tastefully furnished bedrooms, a ballroom, a badminton court and a massive swimming pool (with a sit-out cabana) encased in a well maintained lawn. SaffronStays Nossa Bela Casa can comfortably accommodate up to 18 adults at a time. 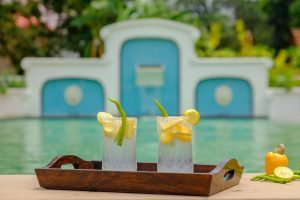 This exuberant setting coupled with the melodic serenity brought by the rustic tunes of the ghumott and kansallem (local Goan musical instruments) is sure to convince you that monsoon may be the best time to visit Goa. Slip into your swimsuit and dive into the Goan culture of fun, food and festivities. 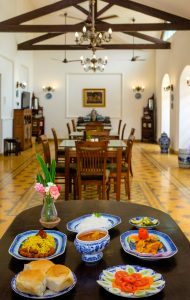 Gorge on a delicious spread of lip-smacking Goan-Portuguese specialties such as samarachi kodi, ambotik, stuffed calamari, patoleos, sannas, folles and sip on home grown kaju feni. 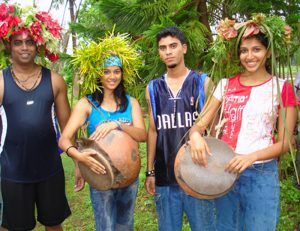 Adorn colorful coronets (called copel) and yell Viva Sao Joao. Capture the true essence and the spirit of Goa and leave it up to SaffronStays Nossa Bela Casa to etch your monsoon wanderlust diaries. 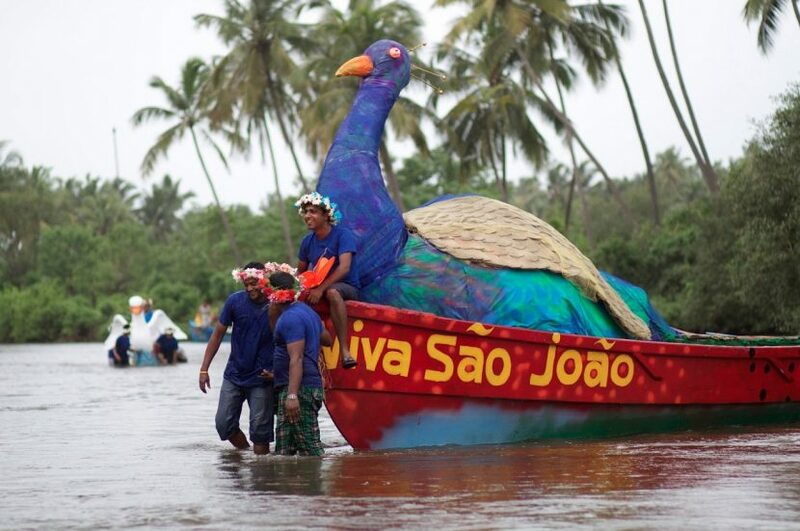 The Sao Joao festival gives you just the perfect reason to take a trip to Goa during the off-season. You Say Vacation, We Say Beach Please!